In the north of the autonomous community La Rioja, known as High Rioja, and in the south of the Basque Country, the Rioja Alavesa, you find a little region with a landscape characterized by vineyards. From Haro to Logroño, the meanders of the Ebro River show us the way through hundreds of little, medium-sized and big wineries. These venues, where the most delicious local products, such as duck, prey and roasted piglet, are served, make La Rioja and its villages a fantastic land for any kind of celebration. 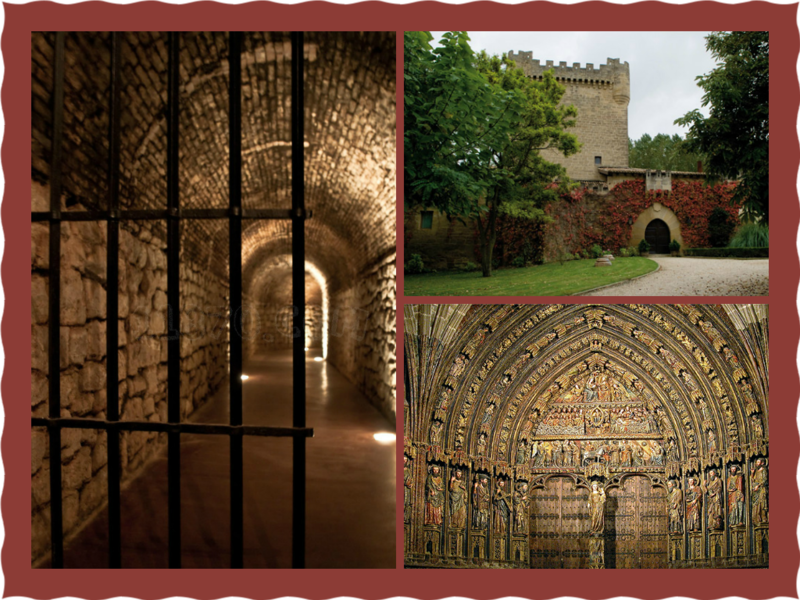 The wineries designed by renowned architects are the most famous ones. The titanium work which the Canadian Frank O. Gehry designed for Marqués de Riscal in Elciego is widely known. So is the modernist building made of aluminum and wood which Santiago Calatrava planned in Laguardia for Bodegas Ysios of Pernod Ricard. Within this group, the new winery of Campo Viejo, situated in the outskirts of Logroño, also stands out; a unique construction designed by Ignacio Quemada (student of Rafael Moneo), which moves downwards, while respecting the environment. Even more avant-garde is the work of Philippe Mazière or Iñaki Aspiazu. The French architect planned a building for Bodega Viña Real, part of the hundred-year-old Grupo Cvne, which has the shape of a barrel that towers over the Cerro de la Mesa. In the meanwhile, Aspiazu designed a crystal box in the township of Samaniego for Bodegas Baigorri. But if what you look for are classic estates in a dream setting, a ceremony in a classic room full of barrels, the photo shoot on a horse in the vineyards and bunches of grapes and corks as decorative objects, the wonderful medieval castle of Bodegas Castillo de Cuzcurrita might be a good choice. And what about the recently restyled castle in the style of the French châteaux, which Bodegas Marqués de Murrieta founded in Ygay, Logroño, in the middle of the nineteenth century? This type of ancestral house surrounded by vineyards is what characterizes the historic wineries of the region, like Eguren Ugarte, in Labastida, which, since 1870, has seen growing up six generations of wine growers. Or Bodegas Franco-Españolas, which was founded in Logroño in 1890 and is famous for its cherished Diamante wine. But if there is a place truly celebrated for its wine, it would be Haro, capital of the Rioja wine. 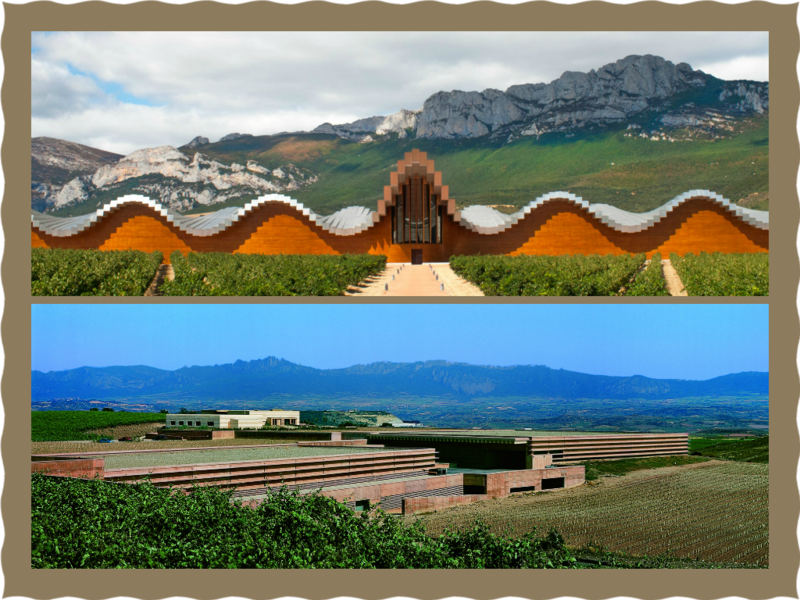 In this town, you find the most award-winning wineries, such as La Rioja Alta, S.A. with its successful Viña Ardanza, Bodegas Ramón Bilbao and its Gran Reserva 2006; or Bodegas Muga combining tradition and modernity in their surprising fine wines. The Battle of Wine is also very famous and that is why every 29th of June the popular romeria at Riscos de Bilibio (a dwelling of the anchorite San Felices de Bilibio) turns into a pacific war in which the participants, dressed in white with a red scarf around the neck, throw wine at each other. Neither should we forget the precious town Laguardia with its medieval character. Here, the Church of Santa María de los Reyes stand out, which is famous for its polychrome porch of Gothic style, as well as its hidden wine cellars, among which are the well-known El Fabulista beneath the Palace of los Samaniego, or Casa Primicia, the oldest building of the town and place of origin of winemaking. As you can see, this region has an extremely rich history and culture. The hundreds of estates and unique venues could make your wedding very different from others. In fact, la Rioja offers infinite possibilities.